Gentle to moderate rambles with English speaking guides. 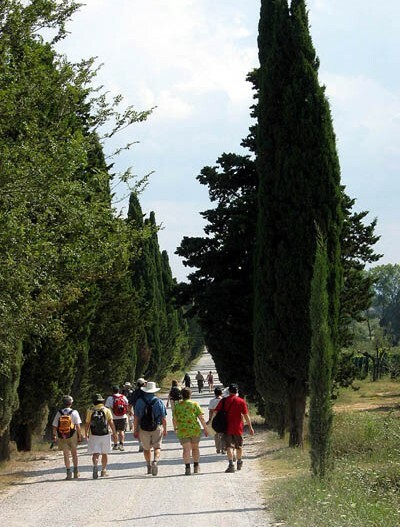 Our Eastern Tuscany walking holiday is based for seven nights at a hotel that was originally a 12th century monastery near the ancient town of Cortona. Today it is a lovely three star hotel still owned by the Vatican. This region of Italy abounds with history. In 600 BC Etruscan civilization flourished here long before the Romans conquered. In medieval times Saint Francis of Assisi preached his message of harmony with nature. The Renaissance brought a wealth of great artists and today, in Arezzo, we find the fresco "Legend of the True Cross" which is considered one of the highest achievements of Italian art. Viewing the art treasures of Arezzo. Having two levels of guided walking allows you to choose your own pace. 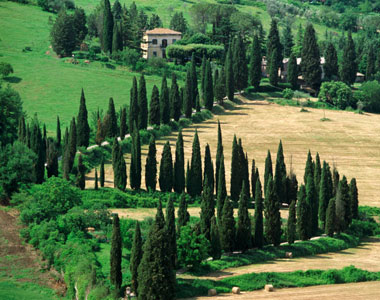 A visit to Tuscany is not complete without a wine tasting. 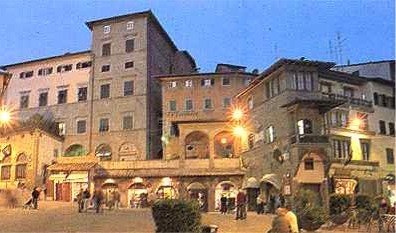 If you would like a two week walking holiday in September you can combine Eastern Tuscany and Southern Tuscany holidays. Save $100.